Register for the Pascack Valley Softball Shamrock 5K today! 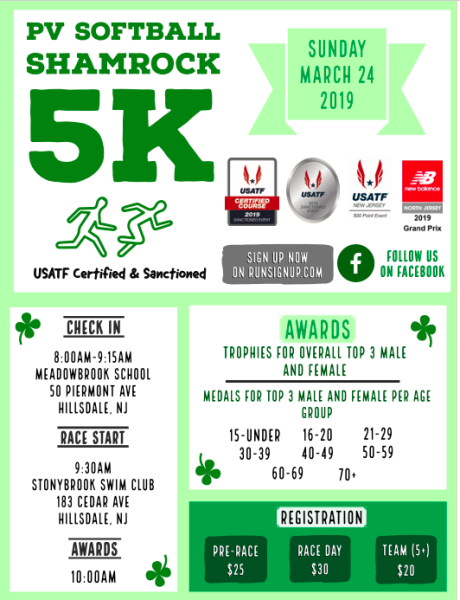 The PV Softball Shamrock 5k is a USATF Sanctioned Event and a USATF 500 point New Balance Grand Prix Event!!!! Start your 2019 road race season off right with the third annual Pascack Valley Softball Shamrock 5K run/walk! We look forward to bringing the community together for a fun race and a good cause! We are continuing to raise funds for the Pascack Valley Softball team. 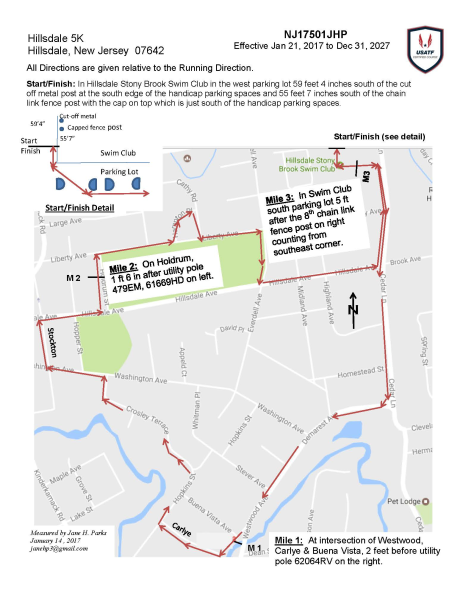 This year's course will be the same USATF certified course as previous years, starting and finishing at Stony Brook Swim Club in Hillsdale, NJ (see attached course map). Registration will be open from December 15 through March 23. After March 23 at 6:00pm, runners can sign up on race morning. Parking and bib pick up on race day will begin at 8:00am at Meadowbrook Elementary School. The race will begin promptly at 9:30am. Runners that register before March 8 will be guaranteed a t-shirt. After that, the t-shirts are on a first come, first serve basis. Once again, we will have chip timing, water stations, and post race refreshments for all runners. 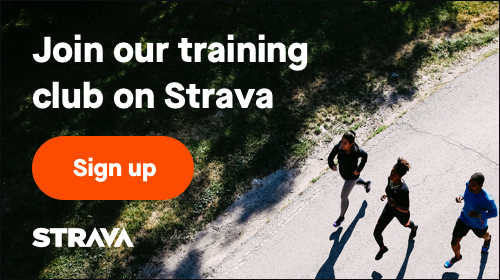 There is a discount for teams or groups of more than 5 runners. Please see our fliers for award categories and details. No Dogs, rollerblades, bicycles, skateboards, scooters, etc. will be permitted on the course.